Hepatitis C virus (HCV) vertical transmission is considered the main route of HCV infection in children. Some authors have stated that cesarean section (C/S) can reduce perinatal HCV transmission. However, the study findings are heterogeneous and high-quality studies are lacking. To evaluate the effect of mode of delivery on the risk of perinatal mother-to-infant transmission of HCV. 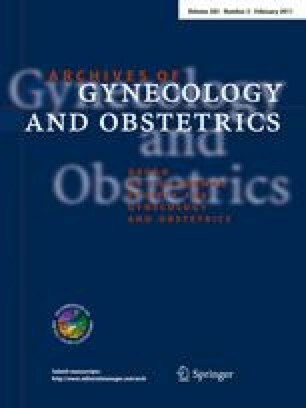 Only the peer-reviewed published studies that compared perinatal transmission rate of HCV in elective or emergency cesarean section with vaginal delivery in HCV-RNA+/HIV− mothers were included. We applied the random effect model of DerSimonian and Laird method with heterogeneity and sensitivity analyses. We identified 8 studies that involved 641 unique mother–infant pairs which fulfilled our inclusion criteria. Aggregation of study results did not show a significant decrease in HCV vertical transmission among study (mothers who underwent C/S) versus control (mothers who gave birth vaginally) patients [pooled odds ratio, 1.1 (95% CI 0.45–2.67)]. The P value was 0.35 for our test of heterogeneity. Our meta-analysis suggests that C/S does not decrease perinatal HCV transmission from HCV-RNA+/HIV− mothers to infants. The authors declare that they have no conflicts of interest relevant to the manuscript.